The Supreme Court refused to declare that the function of allocating cases and assigning benches should be exercised by the collegium of five senior judges instead of the Chief Justice of India. The petition filed by Shanti Bhushan, Senior Advocate and former law minister, seeking such relief were not acted upon by the bench of Justice A.K Sikri and Justice Ashok Bhushan. Shanti Bhushan had contended that concentration of unbridled powers on a single person was an anathema to democracy. Though the petition conceded that the CJI was the master of the roster as settled by convention, it sought reforms by giving the powers of determination of roster to the collegium instead of CJI alone. The petition also stated that this power was abused in the certain instances with legal malice. At the outset, the bench expressed its welcoming tone regarding the issues raised in the petition, and stated that “matter has not been treated as adversarial in nature’. Besides, the Court expressed that it did not doubt the bona fides of the petitioner, and affirmed his respectability. The petitioner argued that the role of CJI as the ‘master of roster’ was not based on any constitutional provision. 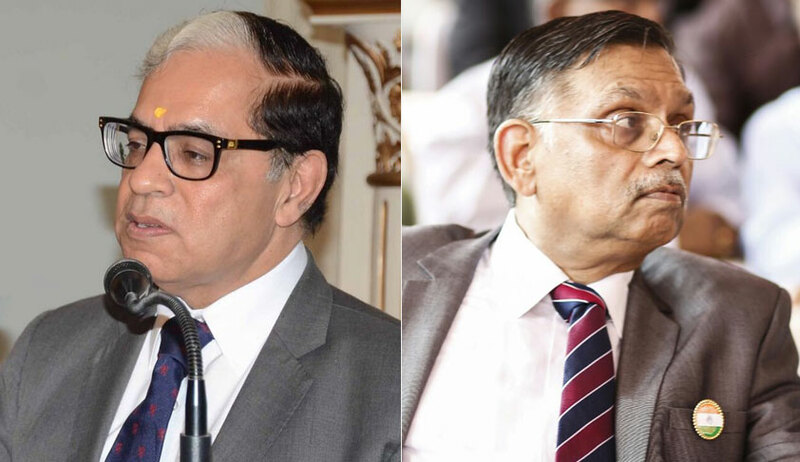 Justice Sikri expressly acknowledged that the Constitution is silent on the role of Chief Justice as the Master of the Roster. However, it was added that this role was “based upon healthy practice and sound conventions which have been developed over a period of time and that stands engrafted in the Supreme Court Rules. The Constitution Bench decision in Campaign for Judicial Accountability and Reforms v. Union of India & Anr was followed by the bench. The CJAR judgment had affirmed the powers of CJI as the master of the roster. In CJAR, the Constitution Bench applied the decision in State of Rajasthan v.Prakash Chand (1998) 1 SCC 1, which was rendered in the context of powers of Chief Justice of High Court. CJAR said that the same principle was applicable to the Supreme Court. The bench also extensively relied upon the decision in Asok Pande case. Asok Pande’s PIL, among other things, had sought a declaration that allocation of business should be done by a collegium of three senior judges. The CJI-led bench of three judges refused the prayers, on two counts. Firstly, it was held that as per Supreme Court Rules, assignment of cases had to be done by CJI. The Supreme Court Rules are framed by the Supreme Court in exercise of powers under Article 145 of the Constitution. A direction cannot be issued to a rule-making authority to frame rules in a particular manner. Secondly, it re-affirmed the principle that CJI was an institution in himself and that his administrative power to allocate cases cannot be delegated to Collegium. The present bench was bound by the decisions in CJAR and Asok Pande’s case. The pivotal argument of the petitioner was that “Chief Justice of India” was interpreted to mean the collegium in the Second Judges Case. The petitioner relied on this observation in the Second Judges case- “it is unwise to entrust power in any significant or sensitive area to a single individual, howsoever high or important may be the office which he is occupying. There must be checks and controls in the exercise of every power, particularly when it is a power to make important and crucial appointments and it must be exercisable by plurality of hands rather than be vested in a single individual. Therefore, extrapolation of that principle was sought with regard to CJI’s powers as the administrative head. The argument was not accepted holding that the Second Judges case was rendered in the context of power exercised by CJI under Article 124 for the appointment of judges. It was held that the power to allocate business was altogether different, as it is an administrative function flowing from Article 145 of the Constitution. This kind of system which is devised for the appointment of Judges cannot be replicated when it comes to the role of the Chief Justice as Master of Roster. We have to keep in mind that the Chief Justice, as the head of the Supreme Court of India, and the Chief Justices of the High Courts, have to perform many other functions, on the administrative side, in their capacities as Chief Justices. Framing of the Roster and constituting the Benches is one among them. In case the expression ‘Chief Justice’ is to be interpreted as ‘Collegium’, it would be difficult to have smooth day to day functioning of the Supreme Court, or for that matter the High Courts, observed the judgment in that regard. Justice Ashok Bhushan’s judgment discussed the rationale behind having a system of CJI allocating cases. Referring to State of Uttar Pradesh and Others Vs. Neeraj Chaubey and Others, (2010) 10 SCC 320, it was observed that “in event the distribution is not done by the Chief Justice of India, it may generate internal strife on account of hankering for a particular jurisdiction or a particular case”. If the Judges were free to choose their jurisdiction or any choice was given to them to do whatever case they may like to hear and decide, the machinery of the Court would collapse and the judicial work of the Court would cease by generation of internal strife on account of hankering for a particular jurisdiction or a particular case- this observation in Neeraj Chaubey case was extracted in Justice Bhushan’s judgment. Both the judges accepted the submission of Attorney General K.K Venugopal that allocation of business by collegium will affect the day to day functioning of the Court. When it comes to assigning the cases to a particular Bench, it has to be undertaken by the Chief Justice on daily basis in contrast with the meetings of the Collegium for the purpose of appointment of Judges, which is infrequent. Thus, meeting of Collegium for the purpose of assigning the cases to a particular Bench on daily basis is clearly impracticable, Justice Sikri observed in that regard. However, both the judges held that the listing of cases should be strictly in accordance with the Supreme Court Rules, and to that extent they agreed with the petitioner. The judgment of Justice Sikri elaborated on the role of Chief Justice of India. It was stated that the Chief Justice of India was “first amongst the equals” when it comes to his judicial functions, implying that his opinion does not carry any added weightage over his colleagues. Also, when a case is allotted to a bench, that bench will have complete dominion over the case, without having to act as per the directives of any external judges. Justice Sikri signed off his judgment with the following quote from Edmund Burke -“Applaud us when we run; console us when we fall; cheer us when we recover; but let us pass on-for God’s sake, let us pass on”. Quite apt for the times which the Supreme Court of India find itself in.